We’re in the thick of harvest season, and while you might expect farmers to be working hard, there’s another group that’s cranking away under intense seasonal pressure: local specialty food producers. 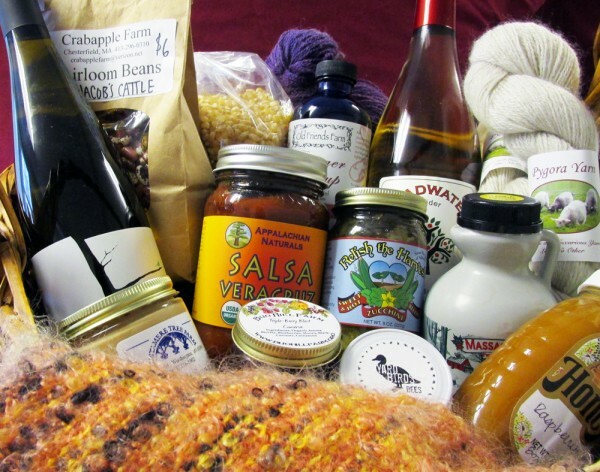 These businesses are making salsa, fermented foods, jam, beer, wine and all sorts of other food and drink that turn the local harvest into products that can be enjoyed all year long. Managing a locally-sourced food business does have unique challenges, and chief among them is seasonality — these businesses manage a deluge of crops at peak season. Appalachian Naturals, a Goshen-based producer of salad dressings, dips and more, processes over 40,000 pounds of local tomatoes into salsa and tomato puree annually — and tomatoes are at their peak for only three months of each year. To spread the labor out, they jar tomatoes and freeze onions, cilantro, and other salsa ingredients separately as they come in from local farms so they can keep making salsa after the growing season has passed. At Real Pickles, their entire product line of raw, fermented pickles, krauts, and other ferments is made from locally and regionally-sourced vegetables, so the kitchen crew spends only half the year working with fresh vegetables. From July through January, they’re chopping, mixing, and packing fresh vegetables into barrels for fermentation, and the rest of the year is spent packing the finished product into jars for sale. While production may be seasonal, the market for specialty foods is year-round, and local food processors work hard to ensure that their products are always available. This adds two business complications: storage and inventory management. Sourcing, processing and packing an entire product line on the condensed timeline of the local growing season requires refrigerator space to hold big deliveries of raw produce and warehouse space to hold a year’s worth of finished product. Investments in shared cold storage space, like the newly-expanded facility at the Franklin County CDC, are an important resource for businesses that need to manage seasonal storage fluctuations. Maintaining year-round inventory poses its own challenges. Many buyers, especially larger supermarket chains, require that products be available at all times, and processors can lose shelf space if they miscalculate future inventory needs during the production season. Claire Morenon is communications manager at CISA (Community Involved in Sustaining Agriculture).